As you welcome many voices and elicit ongoing input, people will see themselves as part of a movement toward a shared vision of your Portrait of a Graduate. 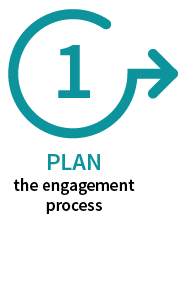 While the process of developing a Portrait of a Graduate will look different in each school system, the most important move for any school leader is to engage their community in that process from day one. Bringing together a broad array of stakeholders to co-create a Portrait of a Graduate can help build understanding and lasting support from the community that leads to enduring impact for students. 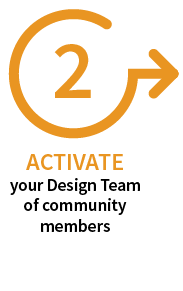 The Portrait of a Graduate design process involves a sustained community conversation leading to shared agreement about a unique community-owned picture of what graduates need for success. Every community and its school system is different, so every approach will be tailored to the local context. These are the phases to help you get started. 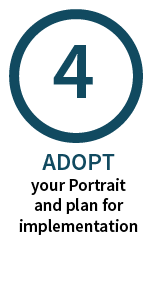 Click on any phase to access more information, resources, and tools to support your Portrait. The completed Portrait of a Graduate reflects each community’s goals for its students. If you want to see examples, look at how school systems are implementing their Portraits and read their stories of success.